Laudale is an hours’ drive from two of Scotland’s best known, late snow, ski resorts; Glencoe and The Nevis range, just above Fort William and Glencoe. The Nevis range has thirty five runs, from green to red, so whether you’re a beginner or an expert there’s a run to challenge you! The beginner’s area is close to the top station, with some great green runs to build skills and confidence on. The ‘Snowgoose Bowl’ provides challenging blue and red runs for intermediate skiers and the more experienced have a range of off-piste black and red runs. The resort also features Scotland’s only mountain gondola which takes you from the car park to the main ski area in 15 minutes. Tuition and a full range of equipment hire is available, there are also cafes to grab a warming hot chocolate and a piece of delicious cake or lunch. 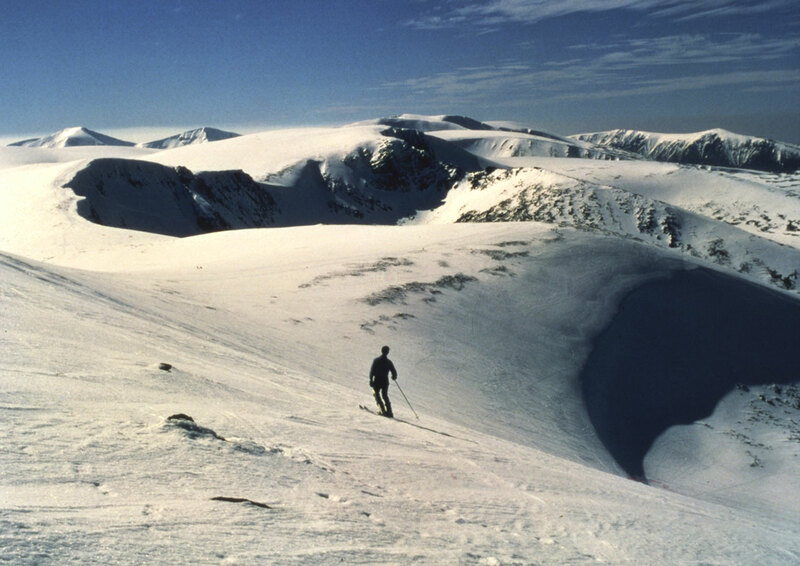 If you enjoy climbing the Nevis range is also home to Aonach Mor, with its 2 climbing faces of Coire an Lochain and the West Face providing some of the most reliable winter climbing in Scotland. Out of ski season the Nevis range and mountain gondola provide stunning walks and opportunities for mountain biking. Glencoe is an area of outstanding natural beauty, creating the perfect backdrop for a days skiing. The resort has nineteen runs, catering for skiers and snow boarders of all levels of ability from gentle plateau runs for beginners to challenging, off-piste runs, including the UK’s steepest, black-graded run, ‘The Fly Paper’. Having hurtled down hills whether on skis, board or bike, we can arrange a hearty supper before you retire to the Drawing Room to relive the thrills and spills of the day by a roaring open fire.